Dante Acosta (b. Jan. 3, 1963). Resident of Canyon Country. Santa Clarita City Council member, 2014-2016; elected November 2016 to the state Assembly. 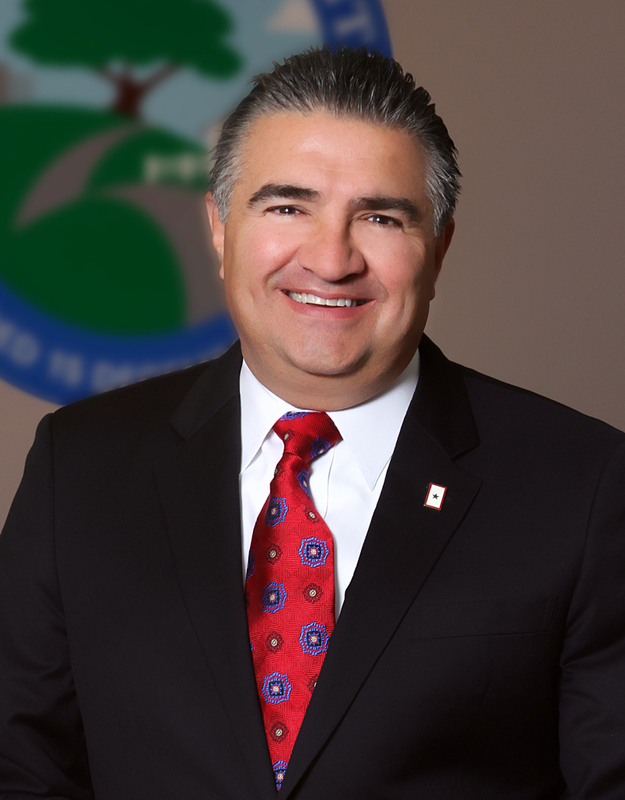 [City of Santa Clarita 2013] — Dante Acosta joined the City Council in 2014. He was born and raised in Southern California and moved to Santa Clarita with his wife Carolyn more than 27 years ago. They chose Santa Clarita because of its reputation as a great place to live and raise a family. Dante and Carolyn were blessed with three children: Rudy, Alexandra, and Doran. Dante's father passed away when he was just 11 years old. Shortly after his father's passing, his mother started a family clothing boutique to support the family, instilling a strong work ethic and the spirit of volunteerism in Dante and his siblings. Dante began working while in high school, serving as an assistant manager of an auto parts store. While attending California State University, Northridge, Dante worked as a new car salesperson at a San Fernando Valley Chevrolet dealership. Throughout his tenure with the dealership, Dante worked his way to the top of the organization serving as General Sales Manager. Under his leadership, his dealership was routinely ranked number one in customer satisfaction in Southern California. After years in the auto industry, Dante began his career in financial services with the local Dean Witter office, serving as a Financial Advisor. There he earned his Series 7, Series 63 and Insurance licenses. Dante was recruited three years later to Wells Fargo Investments. He went on to serve in various management roles with Prudential Financial, The Hartford, ING Financial Services, and Ameriprise Financial, using his 20 years of experience to advise individuals and small-business owners on their insurance, investments, financial, retirement and estate planning needs. Dante and Carolyn have always believed in giving back to their community and have volunteered as docents at the William S. Hart Museum, while Dante has served as a member of the Santa Clarita Valley Rotary Club and Old Town Newhall Association, been a board member with Circle of Hope Inc., and coached little league and drama. Dante is a member of the North Los Angeles County Republican National Hispanic Assembly, served as the former legislative chair of the National Association of Insurance and Financial Advisors in Los Angeles, and was appointed by Assemblyman Scott Wilk as a delegate to the State Republican Party. After his eldest son, Specialist Rudy Acosta, was killed in action in Afghanistan in 2011, Dante focused his energy on his family and the charities he supports, while continuing to give back to his community. Dante is the founder of the Rudy A. Acosta Memorial Foundation and a member of the fundraising committee for the Portraits of the Fallen memorial. As Gold Star Family members, Dante and Carolyn also remain active in military-related issues. When Dante isn't working at City Hall or volunteering, he enjoys coaching little league, acting, and traveling. SC1401: 19200 dpi jpeg from digital image by Gary Choppé.